Is the best picture in the world the one you have your loved one with you in it? Or the one of an amazing place? Or the one that shows a special moment of your life? Well, a honeymoon picture happens to have all that. And if you choose the right place, you don't even need a professional photographer, you can take the best shoot in the world by yourself! 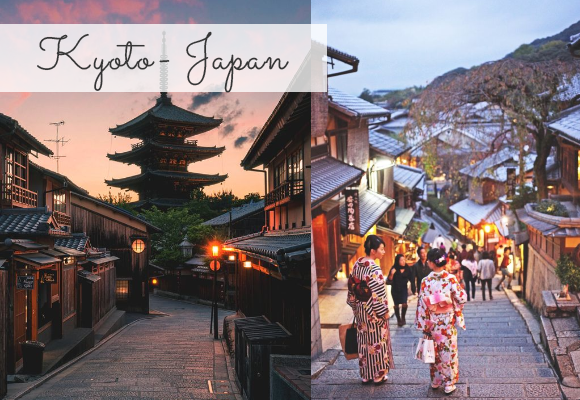 Let’s see some destinations that for sure will help you to get the perfect photos. 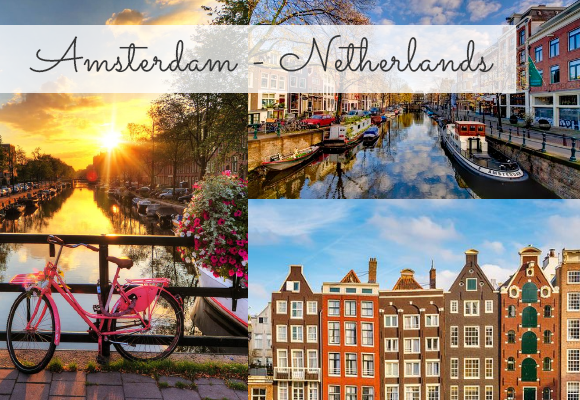 Amsterdam is a great destination for a honeymoon, you have a lot to do there, like visiting the Van Gogh Museum, Anne Frank’s House and the gorgeous church Oude Kerk. 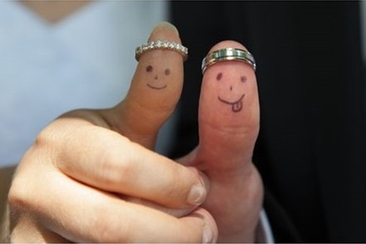 Your picture will look great with the low bridges, arching trees, and historic houses as background. 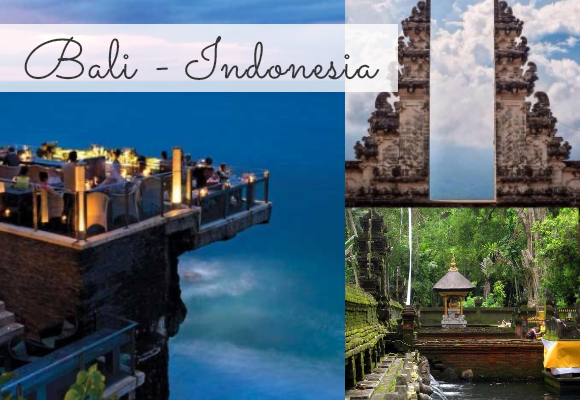 Bali is an exotic place to visit, everything is so different, which makes it a perfect destination to explore. In addition, you will end this trip with stunning pictures, like this couple, they took a romantic picture at the Waterfall Git-Git. Are you in love with the beach? You think the most beautiful photos are the ones with the sea? 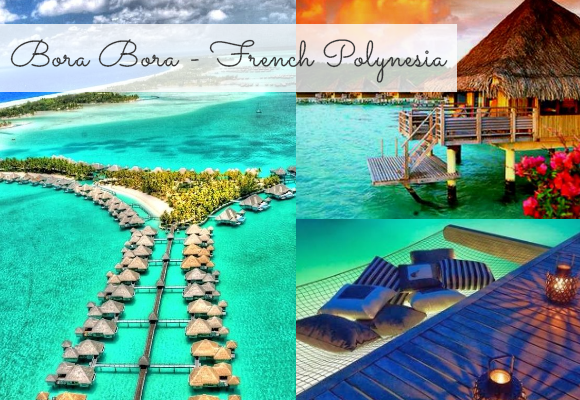 Then try Bora Bora as your honeymoon destination, and look for a resort inside the water. Imagine you waking up and going to bed with this view. And your honeymoon picture will be you and your love having a lunch in the middle of the sea, not bad, right? 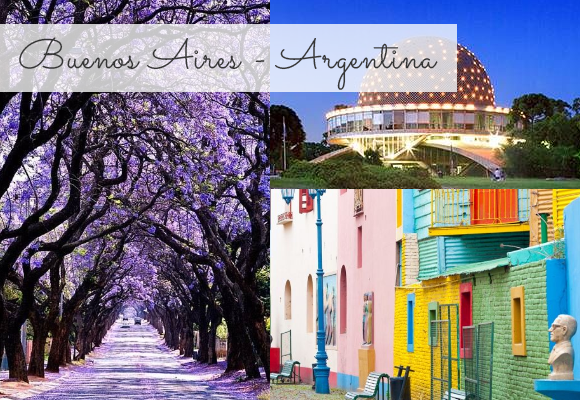 When you go to Buenos Aires, you have a large list of places to visit. You’ve got Boca Juniors Stadium, Plaza de Mayo, El Obelisco and a lot of others tourist attractions, but I can tell you for sure that you will get amazing pictures in the Camito, it is an open air tango museum and arts market with a lot of colorful houses that will make your picture pop! 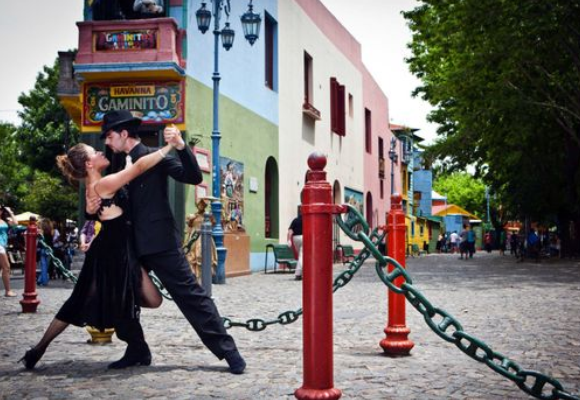 And what is better than taking a picture on Buenos Aires dancing tango?! Oh the Caribbean Islands, the paradise on earth. You can choose many places to go and you will not be let down. The location is so beautiful combining the green of the woods and mountains and the blue of the sea, you have the perfect background for your honeymoon picture. I’m telling you, that is where you can take the best picture in the world! Mexico has much to offer. First, think about the delicious spicy food and then the beaches. 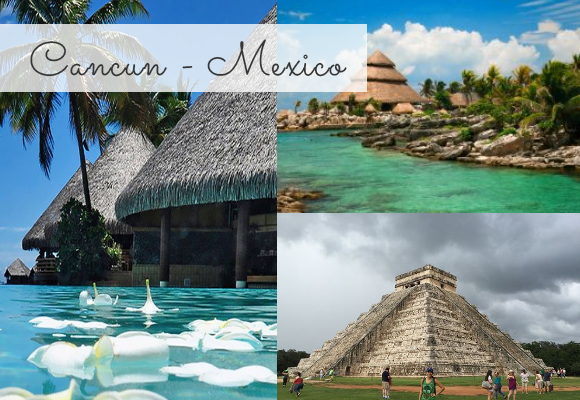 Cancun is mostly known for its clear blue-watered beaches, and this is exactly what will make your pictures insanely beautiful. 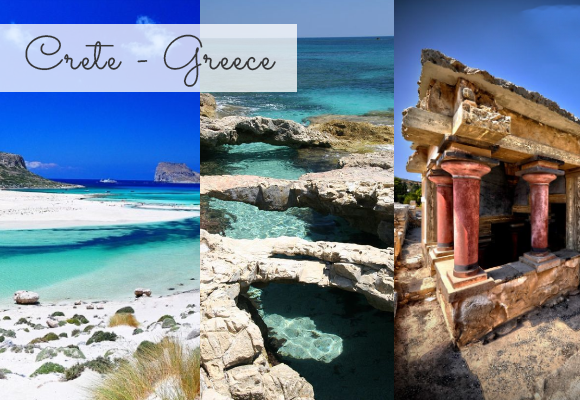 When you think about Greece you think of romance, historical place, and beautiful islands. The largest Greek isle, Crete, has perfect places to take pictures, from jungle adventures to beach bum lazing. 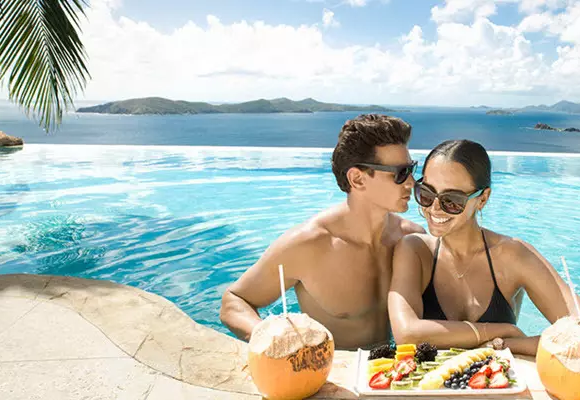 This couple made a sublime picture of their honeymoon there, what do you think of doing one like this, and years latter come back and do one exactly the same, only with you and your love in older age? How cute would that be? This picture is perfect for that because the background probably will not change for many years. 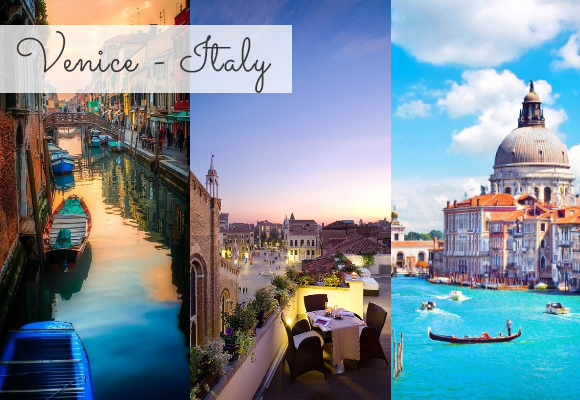 Italy means romance, don’t you think so? And Florence is a city renowned for its art, history and mouthwatering Italian cuisine, a lot of couples would love a honeymoon there. 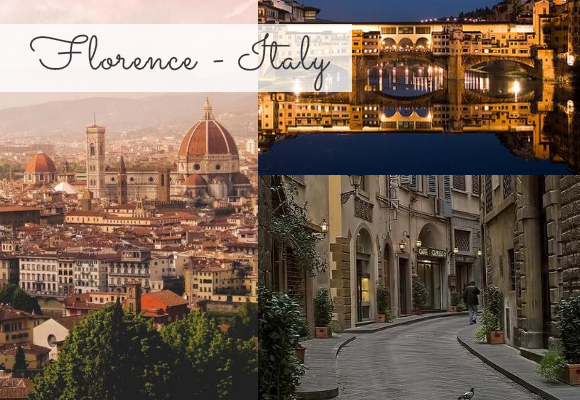 Imagine your days visiting the Uffizi Gallery, or the Piazza della Signoria, the Basilica di San Lorenzo, the Piazzale Michelangelo and the Palazzo Pitti, and it has so much more there. 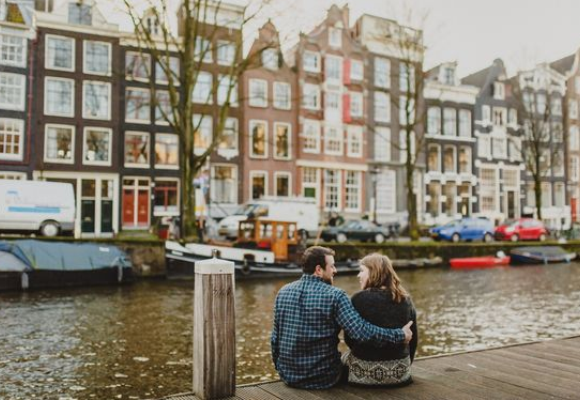 But your best picture must be with Florence’s oldest and most photographed bridges, the Ponte Vecchio will make your honeymoon photo look stunning. For sure, Ibiza has charm, and we are not talking about parties. A few miles away from the throbbing city center, villages are hiding in the forests, you will find beautiful places to relax with the love of your life. 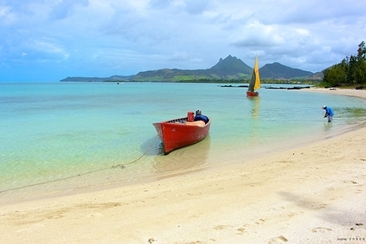 You will also see hidden beaches where the waters are beautiful turquoise blue. It is a perfect location for the best picture in the world. Do you love animals and exotic places? 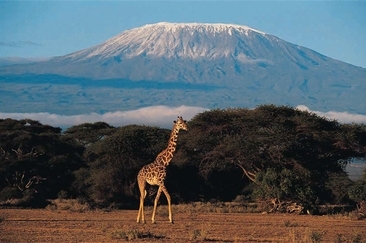 Did you always want to visit Africa? This could be the perfect honeymoon destination for you. Imagine you exploring endless savannahs, in a balloon safari. 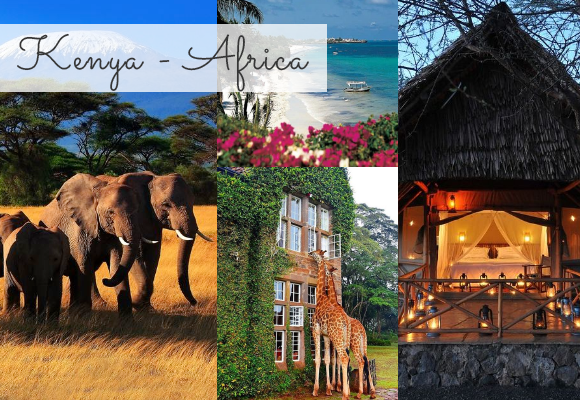 Kenya has a lot to offer, and traveling there can be an adventure and at the same time really relaxing. 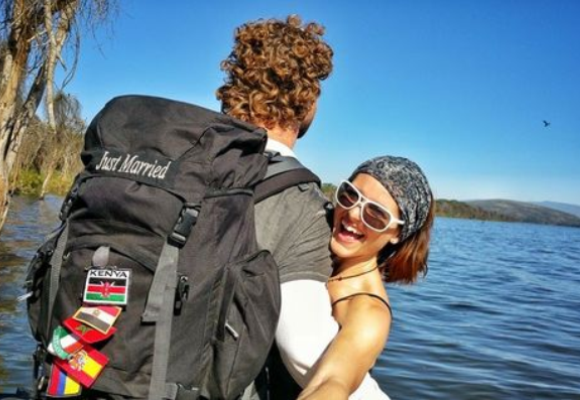 Take a look at this couple's picture in Kenya, look how cool the husband bag with just married written on it, gorgeous picture, right? 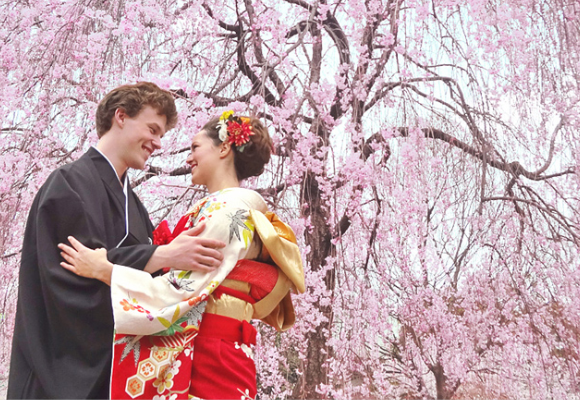 Your honeymoon in Japan can be amazing! Just picture you exploring a completely new culture, getting to know their different architecture, wardrobe and food. Cool right? Look how amazing this couple’s photo is, so romantic and different. Just saying Portugal you feel like you talking about something historical. 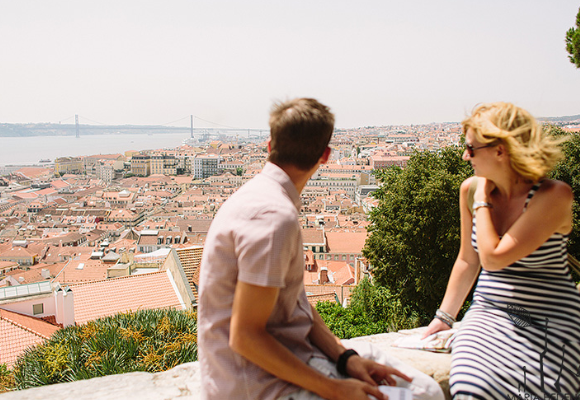 Lisbon got a lot to offer, you can take amazing pictures in the Belem Tower or St. George's Castle, but the picture below, of the couple just appreciating the view is just enough to make a perfect shoot. 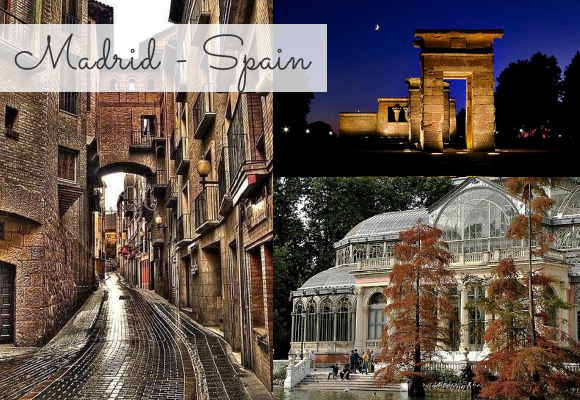 Spain's capital is perfect for couples seeking a metropolitan honeymoon. 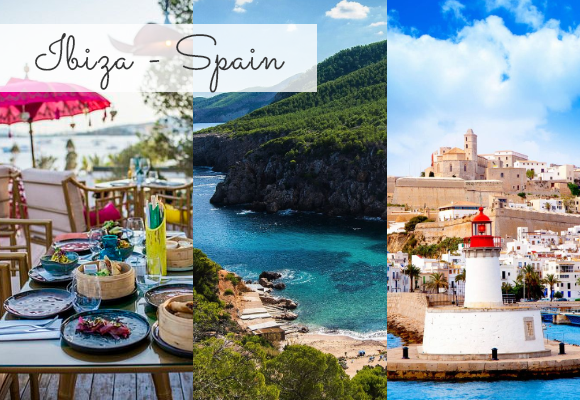 You will find stunning locations there and enjoy good wine, flamenco and delicious tapas. Look the picture from this couple who choose to go to Madrid as their honeymoon destination, the flowers, the beautiful background and the cute couple, everything is so romantic. It has to be the best Picture In The World! 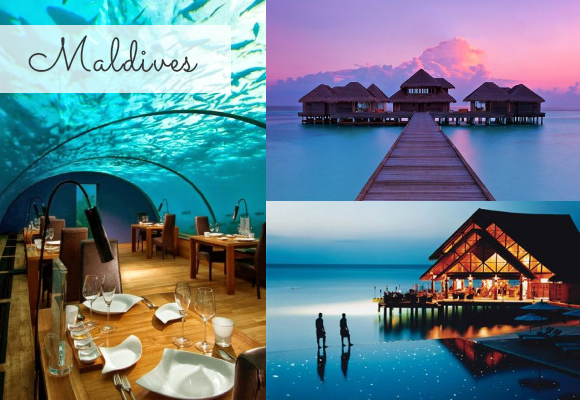 If you are looking for a honeymoon to get away from it all and just relax with your sweetheart, head to Maldives now! 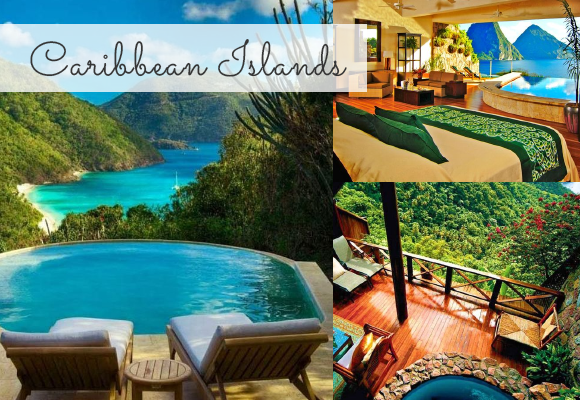 The extravagant resorts will make you never want to leave. Plus, a honeymoon picture like this? You will be relaxed just looking at it. Do I really need to say anything from NYC? I think every single person in the world once thought of visiting it. 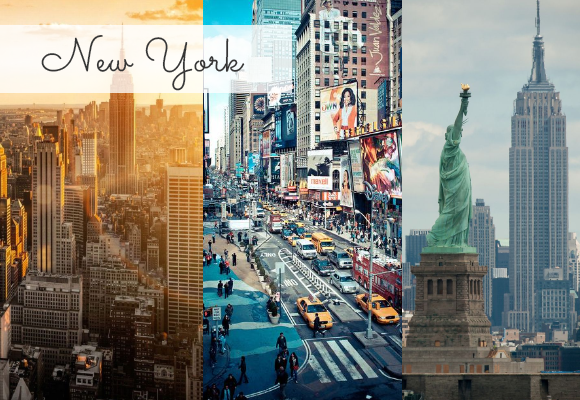 And everybody knows, there is a lot to do in New York. 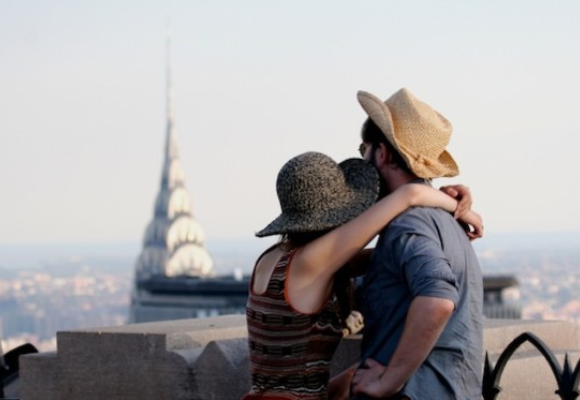 So just, look at this couple honeymoon trip and appreciate it as they are appreciating NYC. 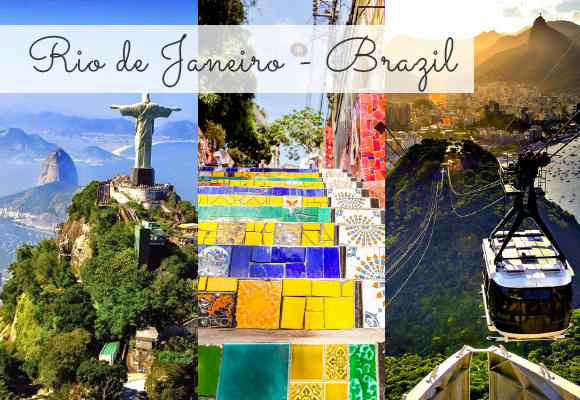 Immortalized by the song “The Girl From Ipanema”, Rio is the perfect location to go on your honeymoon if you want to know a different culture combined with views that are out of this world. The shoot below could make the best picture in the world! 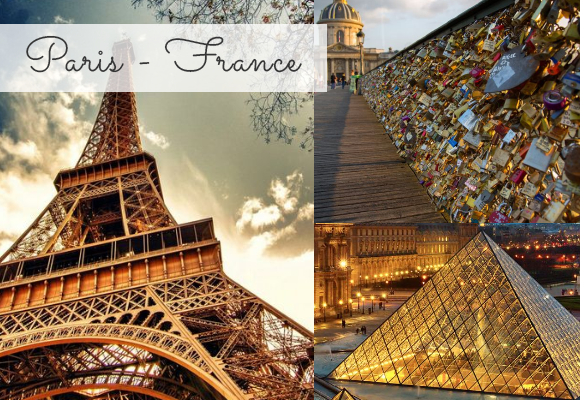 The city that attracts more honeymooners than any other places is with no doubt Paris. The city of lights offers the ultimate experience in sophistication and romance. 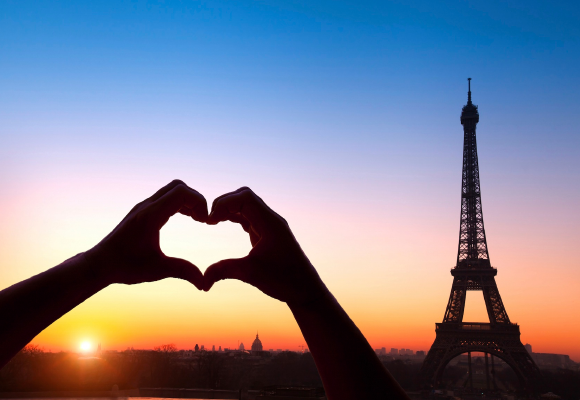 We all must agree, Paris is synonymous with romance. And the second picture below says it all. 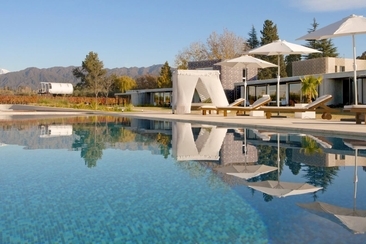 Santiago is a historical location and a good choice for your honeymoon. On snowing days it can be one of the most beautiful places in the world to take stunning pictures. 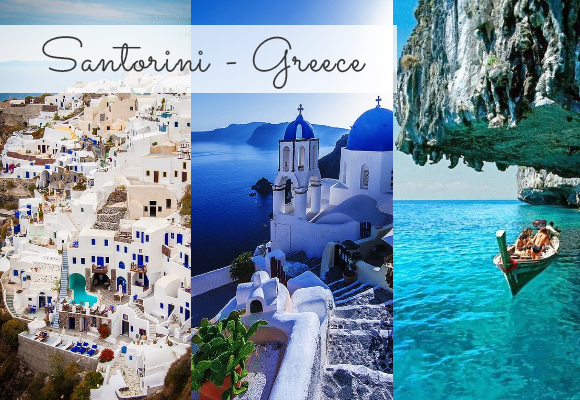 Did you really thought Santorini would not make the list? It is one of the most beautiful and most photographed place in the world, and it is an amazing destination to relax. 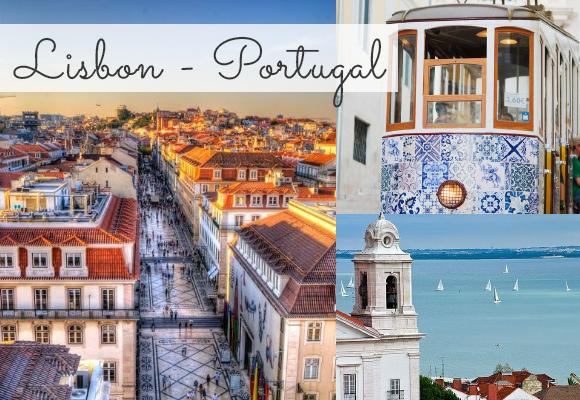 You'll get to know a new gastronomy, architecture and culture. 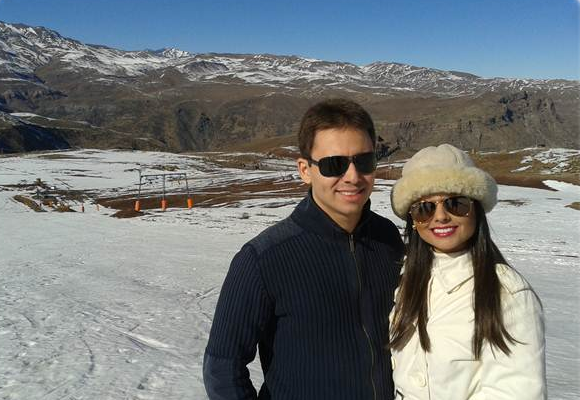 Look at this couple’s picture, the little white houses at the back just doesn’t seem like something possible. And is there anything more romantic than a gondola ride through the Grand Canal? Venice has everything to make your honeymoon all that you dreamed of and everything to make your honeymoon photo the best picture in the world! On your big day, you’ll want to take wedding dresses pictures that do the best job showing off the beauty of your dress. Here are 17 creative photography ideas to help you! 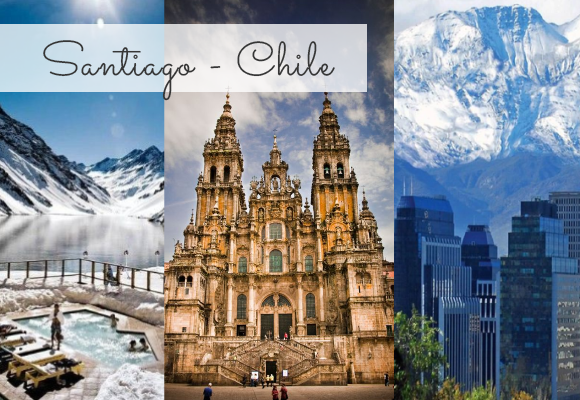 South American honeymoon destinations can give you the best of romance and adventure all in the same place. 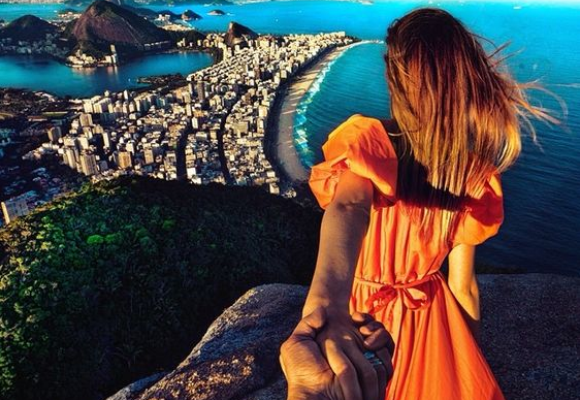 We go over the top spots for fun and love in South America.